Fans of Nicholas Cage’s “The Rock” and Clint Eastwood’s “Escape From Alcatraz” now have something to watch out for. In a recent press conference, the Duterte administration has revealed its intent to move convicted drug lords to a prison island of its own. Caballo Island is a small place near Corregidor. 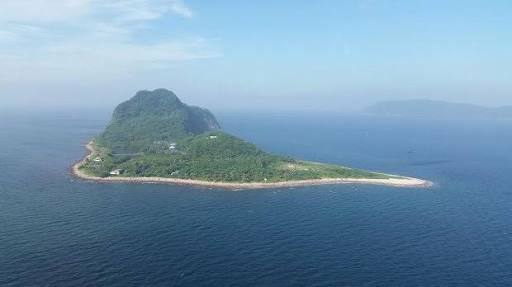 This one of the areas DOJ Secretary Vitaliano Aguirre is considering for the nation’s own Alcatraz. This island has once been turned into an isolation site for those who are suspected of having the deadly Ebola virus. It is currently guarded by the Philippine Navy, and is off-limits to visitors. They are also considering other areas around Palawan and Mindanao. The goal is to create a secure place that is away from human contact and with no cellphone signals. These plans came to light after a recent announcement by President Rodrigo Duterte himself. According to him, drug lords inside the National Bilibid Prison still manage to continue with their trade. They are using messengers, cellphones, and other means of contact. He especially mentioned Herbert Colangco, also known as Ampang. Colangco was remarkable for being able to produce a platinum record album while in prison. Another name mentioned was Peter Co, another notorious drug lord. With these convicts being moved to a distant island, the government is expecting to cut off a huge part of the Philippines’ supply of drugs. The plan is a part of the administration’s continuous war against illegal drugs. So far, the campaign has resulted in hundreds of alleged drug pushers being killed in police encounters. Thousands more have surrendered in fear of their lives.